The 1C Company announces 1C:Enterprise Development Tools 1.2.1 beta. You are welcome download early access version. 1C:Enterprise Development Tools is a new-generation integrated environment for the development of 1C:Enterprise business applications. Both Designer and 1C:Enterprise Development Tools environments will be available at the same time. Applications developed using 1C:Enterprise Development Tools are fully compatible with the latest 1C:Enterprise platform versions. The major 1C:Enterprise Development Tools advantages are compliance with modern trends and requirements, rapid evolution of development tools, and extension capabilities. The creation of a new development environment is a large-scale task. 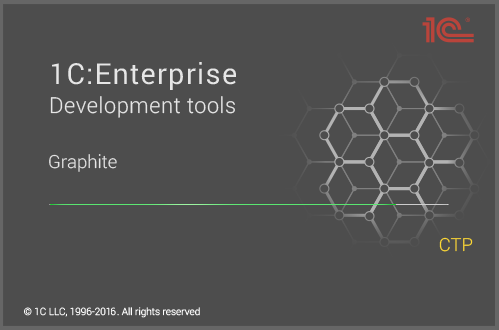 1C:Enterprise Development Tools 1.2.1 beta is a successor to version 1.1.0 beta. It is an evaluation version aimed at 1C partners and developers. The beta version is focused on application development for mobile 1C:Enteprise platform. Scheme to improve the quality of work with clients. Part 3 – Job delivering. Scheme will allow fully looking at the process of working with clients in terms of creating the quality of services in the broadest sense of the words. The implication is that the reader is a qualified specialist or at least aspires to be him. The most important stage which lasts sometimes longer than the period of development. I did not find the button “Find in list” in the typical solutions on the manageable forms (Accounting 3.0, Trade Management 11) and was very surprised at first, but then decided to add it. It is possible to add a button just in few minutes to all necessary documents and catalogs, and during the update you will not need to do anything else - just a single common command is added.